Our Crystal Twister is a new kind of Dice Tower. 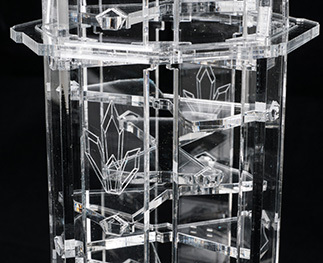 Crystal clear acrylic material allows you to watch your dice rolling down the complex spiral staircase inside the tower. After 3 turns the dice come out completely shaken. 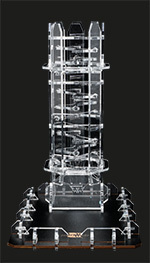 The Crystal Twister is 20cm high and is very easy to assemble. No Glue needed. Additionally there is a black dice tray to stop the dice and house your tower. Of course you can also freely position your Crystal Twister everywhere else. 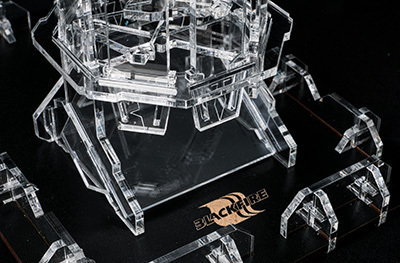 Twister your dice now with this unique Dice Tower by Blackfire.